Home » Galleries » Past Shows » 2017-2018 » Kristen Wigley-Fleming Fine Arts Gallery, Center for the Arts » "Envisioned Worlds: Lithographs from the Hokes Archives"
"You Promised Me Poems: Paintings by Chris Kienke"
"Envisioned Worlds: Lithographs from the Hokes Archives"
Beauvais Lyons is a Chancellor's Professor at the University of Tennessee, Knoxville, where he has taught printmaking since 1985. Lyons received his MFA degree from Arizona State University in 1983 and his BFA degree from the University of Wisconsin-Madison in 1980. Beauvais Lyons' art involves various forms of academic parody. As the Director of the Hokes (pronounced "hoax") Archives, he has originated traveling exhibitions that have been presented at over 60 galleries and museums across the United States. 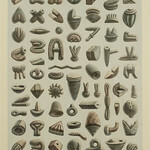 His prints are in numerous public collections including the Smithsonian Museum of American Art, Washington, DC; The Whitney Museum of American Art, New York, NY; and the Philadelphia Museum of Art, Philadelphia, PA. His projects have included imaginary ancient cultures, invented anatomical prints and drawings, and a fake collection of contemporary folk art. More recently he has fabricated and documented a fictitious association devoted to an alternative theory of Creation Science. While he creates art works in a variety of mediums, he is best known for his lithographs, which are influenced by 19th century printing techniques. He has published articles on his work in Archaeology, The Chronicle of Higher Education, Contemporary Impressions, Graphion, im:print, The New Art Examiner and Leonardo. His work is cited by Linda Hutcheon in Irony's Edge: A Theory and Politics of Irony (1994) and by Lawrence Weschler in Mr. Wilson's Cabinet of Wonder (1995). In 2002 he received a Fulbright Fellowship to teach at the Fine Arts Academy in Poznan, Poland. He received a 2014 Artist Award from the Santo Foundation. He has organized several national and international printmaking conferences and has been involved in numerous forms of professional service. A link to his personal website can be found here. "My studio work over the past thirty years has explored various forms of academic parody. Initially I worked in the genre of archaeological fiction, which I defined as the fabrication and documentation of an imaginary culture. In this context I fabricated artifacts that embodied the rituals and myths of hypothetical peoples. These are then documented in hand-printed bookplates which utilize both visual depictions and written interpretations of the iconography. For "Reconstruction of an Aazudian Temple" I created an imaginary Mesopotamian civilization from modern-day Iraq, complete with its art forms, writing system and architecture. Responding to ideas about the human body and medicine, "Hokes Medical Arts" included prints that appear to document medical and anatomical specimens. My more recent project presents prints and taxidermy for the "Association for Creative Zoology," a fictitious early 20th century creationist organization. The projects involve the invention of Everitt Ormsby Hokes, the founder of the Hokes Archives as well as his various collaborators. "Envisioned Worlds: Lithographs from the Hokes Archives" brings together an overview of the lithographs made as part of these three projects. Artistic precedence for my work may be found in the literary and cinematic traditions of mock-documentation. These include Plato's "Atlantis" as conceived by Ignatius Donnelly, Jorge Luis Borges' novella "Tlon, Uqbar, Orbis Tertius," and Woody Allen's film Zelig. 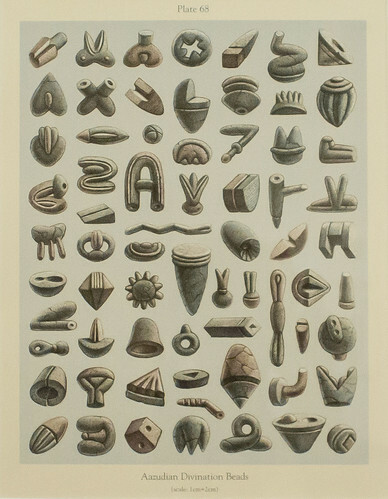 An additional influence on my work is the history of vernacular art and scientific illustration. As I typically present my work as legitimate science and history, I am also interested in the intersection of pranks and contemporary art. In my approach to academic parody I place a great deal of emphasis on the interrelationship between the various elements in the exhibition. I strive for visual, thematic, and conceptual continuity through the use of repeated stylistic motifs and serial images. While the projects are made from a variety of individual works, I strive to think of each project as an aesthetic and conceptual whole. Beauvais Lyons, "American Badger Swallow"